Styles Qigong within this category have the primary goal of achieving calm, peace and balance mental and spiritual. With this mental balance can be addressed motion exercises that keep the flow and balance of Qi circulation. This category uses static and dynamic meditation exercises. It is believed that many diseases are caused by mental and emotional excesses. Those emotions consume and cause Qi in the meridians and organs, causing disease. For example, depression can cause stomach ulcers and indigestion. Anger can cause liver malfunction. The sadness will cause compression and tension in the lungs, and fear can alter the normal functioning of the kidneys and bladder. Practitioners Qigong they realized that if they wanted to avoid the disease, the first step was to balance and relax your thoughts. This is called "regulating the mind" (tiao xing). When the mind is calm and you are emotionally neutral, automatically regulate the Qi and correct imbalances. In still meditation used to maintain health, most of the training is to get rid of the thoughts that the mind is clear and calm. When you find yourself in peace and quiet, the flow of thoughts and emotions slows, allowing feeling mentally and emotionally neutral. This type of meditation could be considered a practice emotional self. When you are in this state of "no thought", you become very relaxed, relaxation even reaching deep into internal organs. When the body is relaxed, Qi flows continuously and vigorously, clearing blockages in the channels and maintaining health. This type of static meditation was very common among the sages of ancient Chinese society. Chinese physicians discovered that certain movements and exercises increased the circulation of Qi around the internal organs. Some of these motions are similar to the characteristic movements of certain animals. It is clear that for an animal to survive in the wild must have an instinct for how to protect your body. Part of that instinct has to do with how to accumulate Qi and how to prevent this miss. As humans we have lost many of these instincts over the years we've been moving away from nature. A series of exercises Qigong typical, still practiced today is called Set of Five Animals (Wu Qin Xi) and another is the Eight Pieces of Brocade (Ba Duan Jin). After thousands of years of observation of nature and themselves, some practitioners Qigong were even further. They realized that the flow of Qi in the body change with the seasons and the body should be assisted in these adjustment periods. They also realized that during each season, different organs have different characteristic problems. For example, early fall, the lungs to the coldest air we breathe must adapt. While these are set, are more likely to feel discomfort and catch colds more easily. The digestive system is also affected during seasonal changes. Appetite may increase, or having diarrhea. When the temperature drops the kidneys and bladder will begin to cause problems. For example, due to the accumulated stress on the kidneys, can have lumbago. Focusing on these disorders Qi seasonal, routines movements that could streamline body adjustments were created. Chinese physicians discovered through experience that some movements not only kept health, but also cured certain diseases. Using his medical knowledge of the circulation of Qi, investigated to find many moves that could help cure diseases and health problems. Evidently, many of these movements were not unlike those used to maintain health. This is not surprising since many diseases are caused by an imbalance of Qi. When the deadlock is maintained for a long period of time, organs begin to be affected and may become physically damaged. In fact, while the disease is limited to the block level Qi and there is no physical damage to organs, the Qigong used to maintain health can be used to adjust the flow of Qi and treat the problem. However, if the disease is so serious that the organs begin to fail, the situation becomes critical, making necessary a special acupuncture treatment that can be, use of herbs or even an operation. Some exercises Qigong are designed to accelerate the recovery or sometimes, to cure the disease. For example, ulcers and asthma can be cured with simple exercises. In both mainland China and Taiwan have shown that certain exercises Qenough are effective in treating certain types of cancer. Acupressure or massage Qigong also used instead normally puncture needle for adjusting imbalances qi. It is mainly done by experts Qigong you are able to use the Qi of your body to adjust the patient's qi through touch or acupressure. This is seen in the healing practices of Chinese qigong massage and Japanese Shiatsu. The two above categories maintain the health of the person who has it or treat disease once it appears. Theories and principles of these categories are simple and traditional training is. Many practitioners of Qigong were not satisfied with this and sought ways not only to maintain health, but also how to increase the circulation of Qi and strengthen the organs. With this more aggressive approach Qigong, trying to find a way to beat the normal course of nature. They refused to accept that the life span of a person is fixed according to destination. They believed that if they understood the whole course of nature (Dao 돛), find a way to prolong their lives. 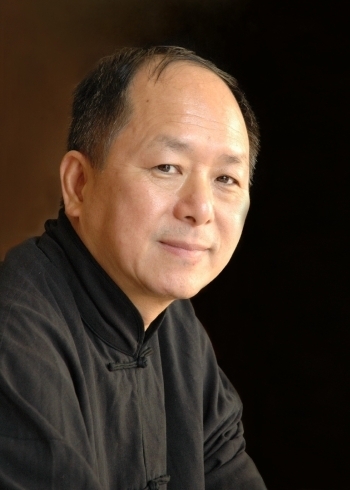 This category of qigong training is primarily practiced by Buddhists and Taoists. Throughout most of 900 Years of research, religious meditation practitioners discovered how to slow down the degeneration of organs, what is the key to a long life. There have been many Buddhists and Taoists who have lived more than 150 years old. In society they say Taoist: "Dying at 120 years is to die young ". Unfortunately, all this qigong training has been transmitted secretly in monasteries. From years 60, these secret training methods and theories have been slowly revealed to the outside world. An important part of this training is to prolong the life of the Marrow Washing Qigong. The basic idea of ​​this routine is to keep the flow of Qi in the spinal cord and brain so that they stay clean and healthy. Bone marrow creates most of the blood cells. Blood cells carry nutrients to the organs and other body cells while waste products removed. When blood is healthy and working properly, the whole body is well nourished and healthy and can effectively resist disease. When the bone is clean and healthy, will create a large number of healthy blood cells to carry out their function adequately. The whole body will remain healthy and the organs are not degenerate. Although the theory is simple, training is very complicated. First you have to learn how to increase Qi and fill eight glasses of Qi and then you have to know how to direct the Qi to the bone marrow to "wash". Anyway, except for the Buddhist monks and Taoist, there are very few people who have met the 150 years old. The reason is that this process is long and arduous. There have mental purity and lead a simple life so that you can be completely focused on training. Without a quiet life, training will not be effective. Why it was so many Taoist and Buddhist monks retreated to the mountains. Unfortunately this is not possible for a normal person in our society. In the Dynasty Liang (Jom), martial artists began using the Qigong to increase the effectiveness of their arts. Such training can also help to improve the health. However, some martial artists even use some practices Qigong to improve certain aspects of their fighting skills even knowing that can damage your health. An example of this training is the "iron palm and sand". Taoists and Buddhists use Qigong to reach a level of performance far beyond a normal person. They strive to achieve enlightenment, or what the Buddhists call Buddhahood. Seek ways to rise above ordinary human sufferings and escape the continuous cycle of reincarnation. To achieve this state, training in the Marrow Washing Qigong necessary. That allows them to direct the Qi to the forehead, lies the spirit and raise the brain to a higher energy state.